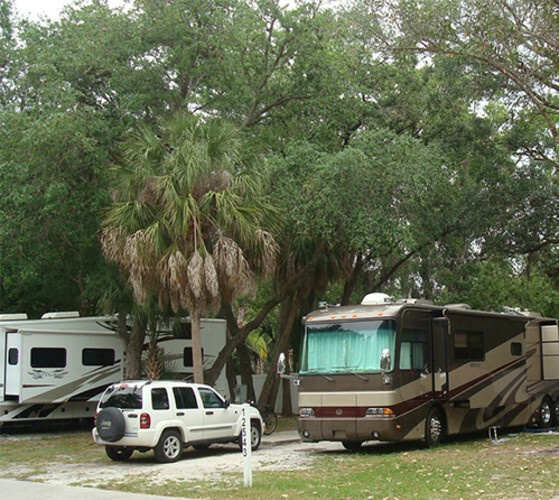 Tampa's premier RV resort offering 300 oversized sites with concrete patio, picnic table, full hook-up, cable TV and WiFi, in natural surroundings on Double Branch Creek. Enjoy the deluxe facilities and amenities of our highly rated resort with spacious clubhouse, heated pool, immaculate air conditioned bathhouses and laundry facilities. 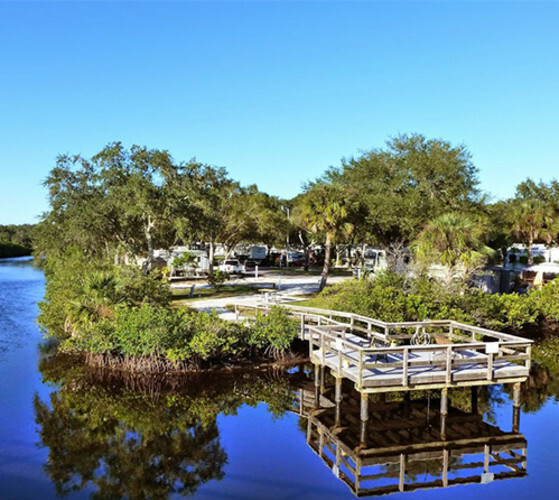 Conveniently located near Tampa's top attractions, excellent restaurants, shopping, golf, fishing and the beautiful Gulf Beaches. Ask about our new Bayou Grande sites with 50 - 100 amp electric! Rallies welcome!